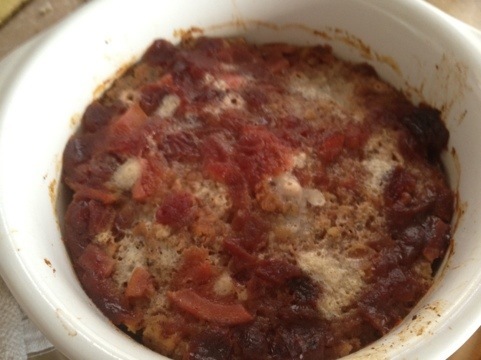 This recipe makes 2 meatloafs I always make two one to eat now and one to freeze for later. The directions are simple just mix everything together add salt and pepper if you like and bake for 45 minutes to an hour on 350 degrees. I sometimes spread a thin layer of cranberry sauce over the top like you would ketchup. 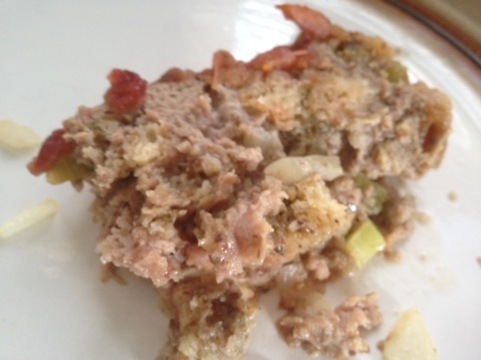 I’ve also added sausage to this we usually add maple sausage to our stuffing. 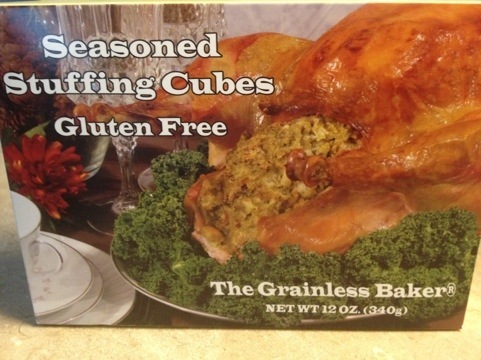 You can add anything you normally would put in your own stuffing.